XY positioning is an important field in robotics. 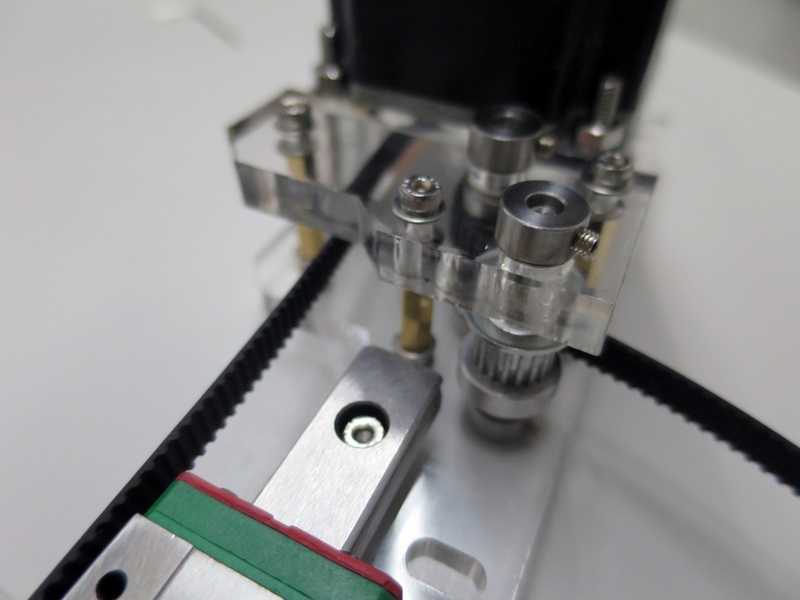 The recent invention of the CoreXY kinematic mechanism claims to have lower inertia and faster acceleration over single-belt XY or cascaded XY kinematics. 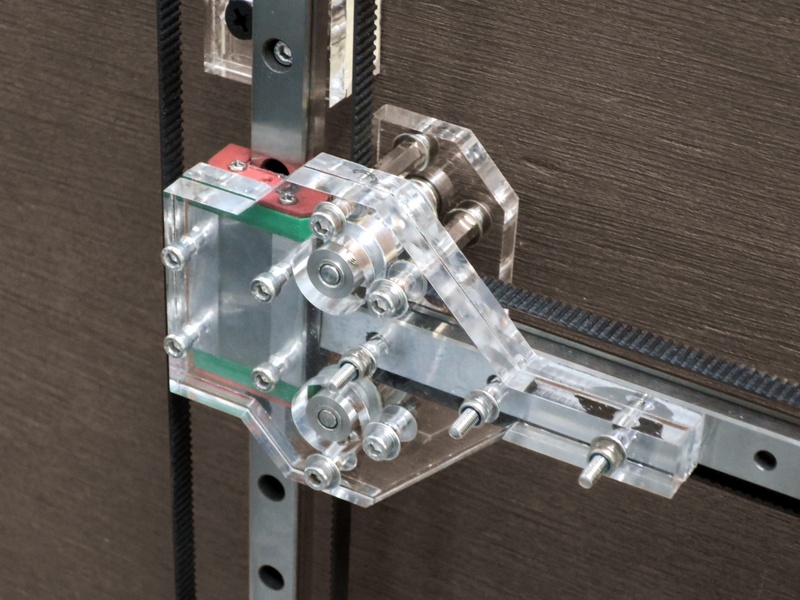 This project created a vertical drawing robot design implementing CoreXY kinematics to explore design implications and mechanical versatility of such system. The robot is designed to produce line drawings over a vertical glass window with working envelope of 700mmx700mm. 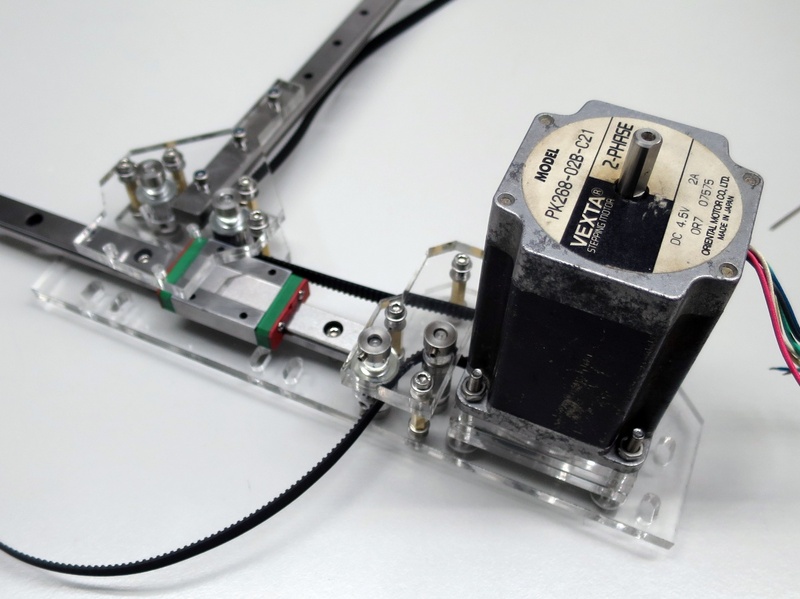 Two stationary stepper motors drives two separate belts for CoreXY kinematics. The XY carriage is mounted with a controllable white board marker and white board eraser to allow automated cleaning of the glass canvas. Laser cutting machines were used instead of milling machines to create the acrylic chassis of the robot. 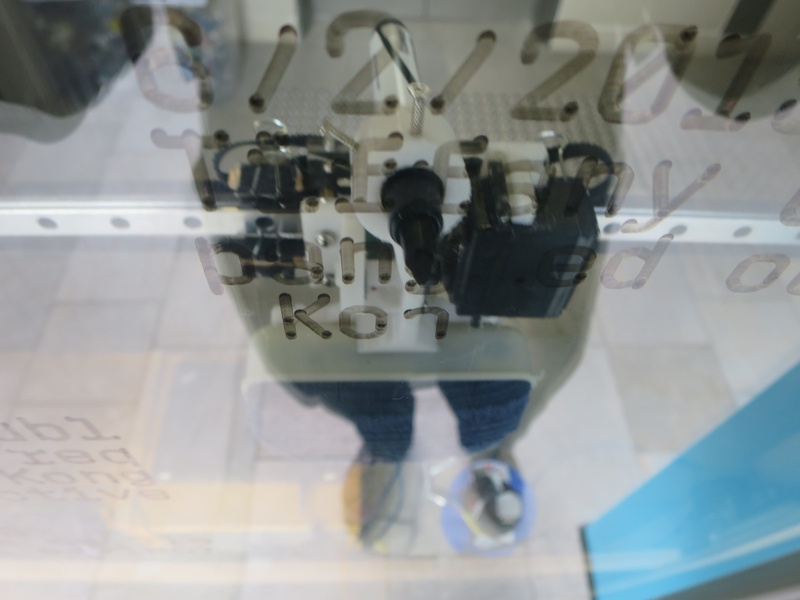 We found that CoreXY kinematics can be as easily implemented as other kinematics system. It allow light moving parts to achieve decent acceleration. We have also found a lack of CNC controllers compatible with this kinematics. 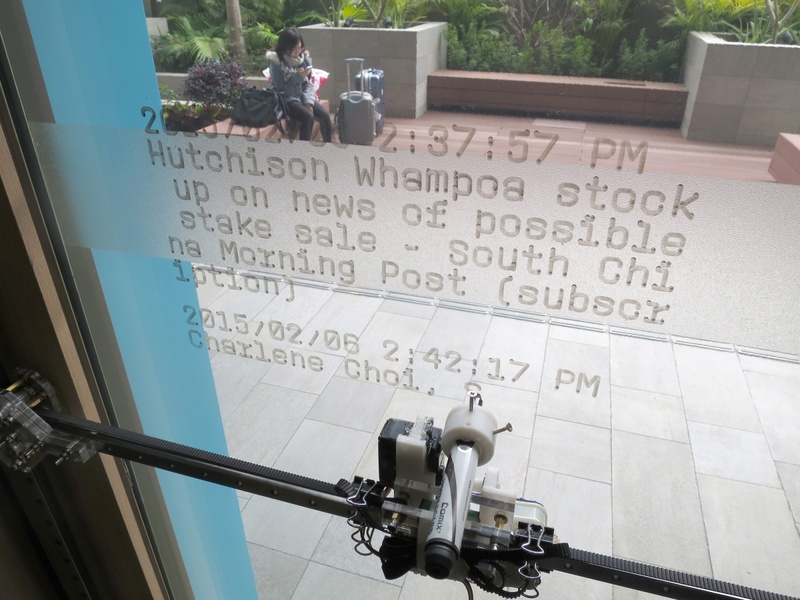 From the front side of the glass, machine is behind glass.